The High Street mixed-use development is adding 11 new tenants in the first quarter of the new year. Heading the list is Sprouts Farmers Market's corporate headquarters, which will take up three floors of office space. Among the other new retail, office, restaurant and service tenants are a Sprouts store, a barbershop, a vacation rental company and tea shop. 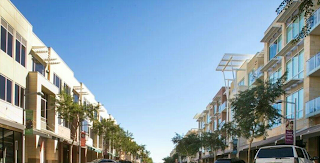 Tenants are slated to open during the first quarter of 2015 at the development, which is at Loop 101 and Arizona 51 in northeast Phoenix.Formerly called CityCenter of CityNorth, the 628,000-square-foot development struggled during the recession. It was purchased in April 2013 by Portland-based real estate merchant banking firm ScanlanKemperBard Companies and Wayzata Investment Partners.